The MVP chenille pin is the perfect addition to your lettermen jacket when looking to show team initiation on the court of in the field. This pin promotes excellent team spirit and school pride! An excellent gift for your coach to say they are doing a great job! Our MVP pin is chenille gold plated and includes an extra-long 10mm post with a standard clutch back. Leadership is key! The MVP chenille pin is the perfect addition to your lettermen jacket when looking to show team initiation on the court of in the field. This pin promotes excellent team spirit and school pride! An excellent gift for your coach to say they are doing a great job! 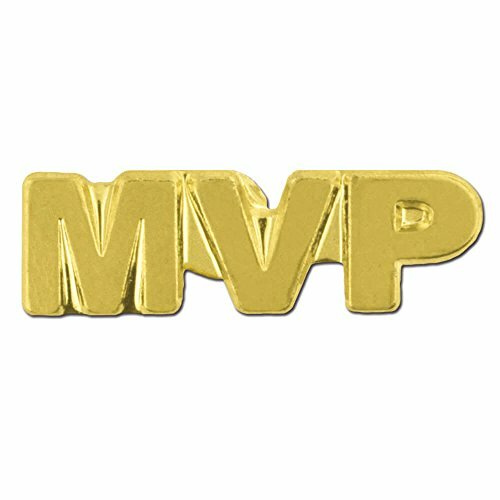 Our MVP pin is chenille gold plated and includes an extra-long 10mm post. PinMart's Gold Chenille COUGARS Mascot Letterman's Jacket Lapel Pin 1"